My name is Craig La Mere. I am a professional portrait photographer, retired high school football coach and the owner of Moz Studios. Along with running my studio here in Idaho, I have been an international speaker, educator and published author for the past 8 years. My camera has taken me all around the world and on so many crazy adventures. Not only have I been blessed to shoot all over Earth, but I have been lucky enough to speak and present at the largest conventions in my industry including WPPI, Imaging USA, Shutterfest and Nikon School. My studio is a full service studio based in Pocatello Idaho. Although home base is Idaho, shooting sessions outside of my home market is a large part of my business as I travel here, there and everywhere for sessions. The strength of my studio is it's VERSATILITY. At Moz we are able to produce a very diverse variety of images, in every genre of photography, and most importantly, we produce images at the highest and most consistent level. 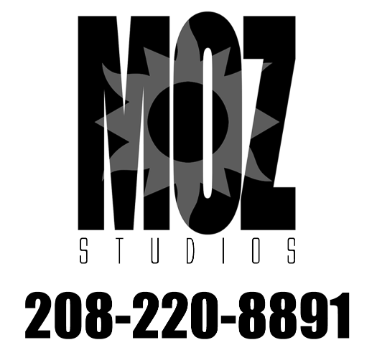 In other words... Moz Studios is BADASS. Cooking. Food is one of our greatest gifts. Going to the grocery store not knowing what I want and walking around till I'm inspired is very joyous to me. It's pretty much the same process I use to create images. My favorite thing is to cook a badass meal, have great conversation and drink tasty wine with the people I love. That is complete heaven to me. Traveling. We have one planet and it would be a crime not to see as much of it as humanly possible. Coming from such a small place it's mind blowing to me what is out in the wild world. Music. I do nothing without it. Whether it's DMX, Sinatra, Morrissey, Public Enemy, Tool, Journey, Depeche Mode or a million others, music is my constant companion. Music drives me, focuses me and inspires me. Taking Pictures. Even though I do it for a living there is still nothing that brings me more joy than creating images for myself. Being able to look at something or someone and creating an image that has never existed before you pushed that button and will never be duplicated exactly again is life to me.